You've drooled over Pumpkin cheesecake at restaurants like the Cheesecake Factory, now you can make your own, and even better! You can use fresh the best possible flavor or canned pumpkin to save time! All I can say about this recipe is WOW! It is incredibly good! And I even used fat free cream cheese, so the recipe is no-fat and relatively low sugar! If you make it with Stevia (in a prepared form like Truvia, it measures same as sugar; if you use another form, you'll need do your own conversion) - or Splenda, if you prefer, , it is an actual HEALTHY dessert that tastes sinfully good! 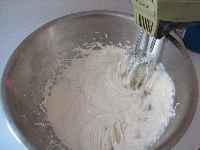 In a mixing bowl, combine the 3 packages of cream cheese, 1 cup of sugar, and 1 teaspoon of vanilla extract - mix well! Pour the mixture in the pie crust. 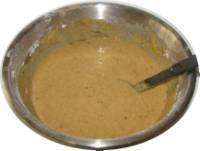 In a large bowl, mix the pumpkin, 1 cup of sugar, a dash of salt, 1 teaspoon ground cinnamon, 1/4 teaspoon ground ginger and 1/2 teaspoon ground nutmeg (or, instead of these spices, separately; just 3 teaspoons of pumpkin pie spice). 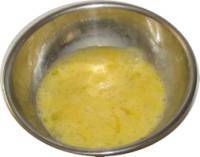 Light beat 3 eggs and blend them in. Pour the pumpkin mixture over cream cream cheese layer that is already in the pie crust. Neither stir it in, nor worry about floating it on top. Just gently pour it in. Bake the pumpkin pie in the oven at 350° for about an 70 minutes; possibly another 10 minutes (until it has firmed up). 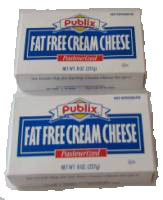 The cream cheese layer will bubble up to the surface some; that's fine; it gives it the characteristic appearance. It's great with a little whipped cream or topping. Let me know whether you agree (or disagree) that this is the best pumpkin cheesecake ever! 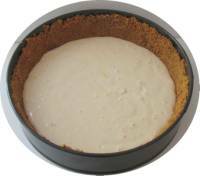 A visitor writes on November 25, 2013: "I made a pumpkin pie cheesecake from scratch from the recipe on this site and it turned out wonderful and delicious, thanks! I am going to cut the ingredients in half, though so I can make a regular sized pie. " A visitor writes on November 01, 2013: "I have been making your pumpkin cheesecake for about 3 years now and it has become what I am known for making. Everyone who tries it LOVES it. Even people who say they don't like pumpkin end up raving about how great it is. I do have a problem with it making too much of the fillings. What I started doing was making 2 smaller cheesecakes in pie pans and one medium sized one in a cheesecake pan (all from just the one recipe). This way I end up using all of the fillings and having 3 cakes. If I can make this and it turn out good then anyone can because I am far from an experienced cook. Thank you so much for this recipe." 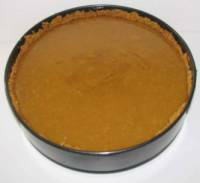 Comments from a visitor on November 28, 2011: "I made the Pumpkin Cheesecake for Thanksgiving this year and it was a huge success!! 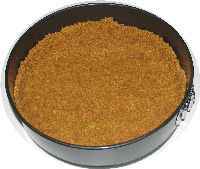 Instead of a graham cracker crust I used the Triple Ginger Cookies from Trader Joes. It was my first time combining pumpkin pie and cheesecake and it was a to die for recipe!!! My entire family loved it and it will definitely be making an appearance at gatherings for many years to come!! I can't wait to make it again!" Comments from a visitor on January 02, 2011: "I made your wonderful Fresh Pumpkin Cheesecake for our Traditional American Thanksgiving here in Italy this year. I had left over Cranberry Sauce and I did not want to throw it out, as it is difficult to come by here in Italy, so I froze it. I wanted to make another Cheesecake for New Year's, so I defrosted the cranberry sauce, strained it with cheesecloth to take out some of the liquid and added IT to the cheesecake recipe instead of the pumpkin pulp and spices. IT WAS WONDERFUL. I only had the jellied kind, but I think it will be even more spectacular with the whole berry. Thanks!"